Perfect for making Valentine’s Day cards and crafts, these colorful, glittery stickers are a simple, fun way to say “I love you” any day of the year. 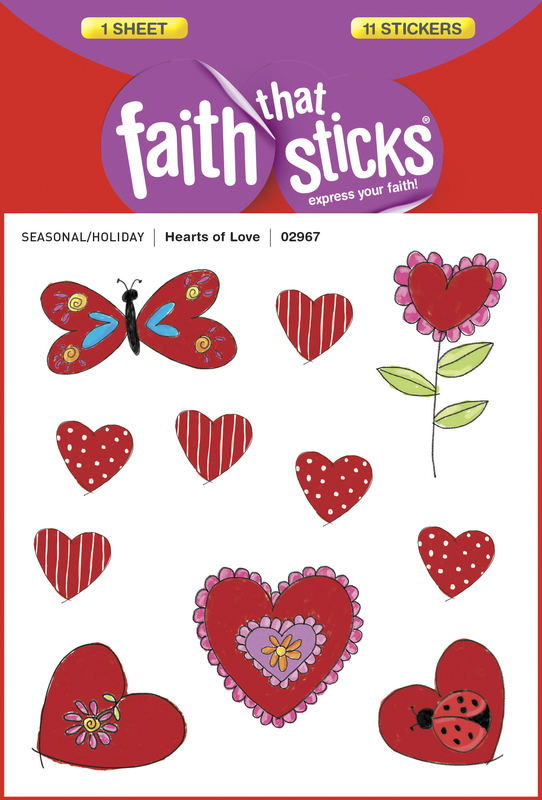 Find creative ways to remind your loved ones how much they mean to you with these hand-drawn stickers made especially to help share the love! Contains one sheet of 11 puffy stickers.